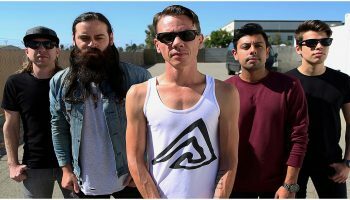 Interview: Red Jumpsuit Apparatus singer Ronnie Winter! 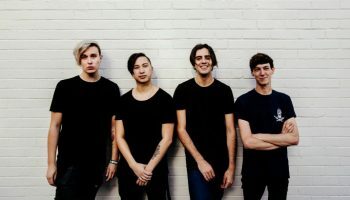 – Spotlight Report "The Best Entertainment Website in Oz"
Red Jumpsuit Apparatus have been in our music collection for the last 15 years, and even after this long, the hits just keep on coming. RJA are coming out to our shores again in just a few weeks to kick of their tour for their latest album The Awakening. Thanks to their touring publicist John Howarth, we got the chance to speak to front man Ronnie Winter. SR: Firstly, a massive congratulations to you and the rest of the band for 10 consecutive weeks at #1 on the Christian Billboard charts for your track On Become Willing! How amazing!! I’ll be 70 in a wheelchair and still be playing Face Down at concerts. SR: You’ve done your Don’t You Fake It 10th anniversary tour and now you’re coming back for the Awakening tour, it’s like Australia can’t get enough of you! How excited are you to be coming back? We’re beyond excited, we always get a positive response from Australia so you’re one of the few countries we’re coming out too first. SR: Your new album, it almost feels like a next level RJA album. It still has that classic RJA feel but, it’s like more fully formed… When was the moment you decided to mature as a band or was it a natural process for you? This is the longest I’ve ever taken between records since I started the band, mainly because my wife, Angela and I had a kid who’s now two years old, which is amazing so that first year, and even the year before that when she was pregnant I kind of slowed things down, I was there for her the whole time. So since then I’ve been a full time dad- part time rocker. But this album is also our first ever concept album, when I refer to a concept album I’m referring to like the Dark Side of the Moon. Every track from The Awakening is linked to one another. SR: You’ve spoken a little bit about maturing but how important is growing with your fans to you? It’s pretty huge, when you look back on that time I was only 22 years old, I’m 35 now and a lot has changed. If you’re still alive and in a band after this long it’s a natural process to grow together. SR: You did say just before that when you’re 70, youre still going to be playing Face Down, have you ever wanted to break away from your older material to bring forth like a new RJA to the world? SR: RJA has this message of “even on your worst day that you’re alive, you’re still surrounded by so many awesome things, if you look for them” has that message ever helped you? SR: From the new album, what’s your favourite personal track? My fave is the last one on the record, like we were talking about earlier is kind of a throwback- I wanted to write a song similar as far as the vibe is concerned to Your Guardian Angel so for the first time I did that. It’s the exact same progression but different lyrics and notes, and I’ve been wanting to do that for some time now. It was a tip of the hat to that song, and it’s really cool because those are the two songs we’ve never had to push… but all the older kids who picked it up started calling it Your Guardian Angel Part 2. SR: Do you have any other band influences for this album? No, I – and this is going to sound crazy; but every record that I ever made… I always go back and listen to that first record again. And I don’t listen to anything else for a longs time. And I just remember… I remember who I was, how I was at guitar, how I was with the band and who I was at the time and then I kind of check back to how I feel today. When I’m writing the record I always reference myself and that’s just how dedicated I am to that original content. SR: The Comfort are supporting you guys for this tour, are you a fan? SR: If there was any song from your discography you would name your autobiography, what would it be? 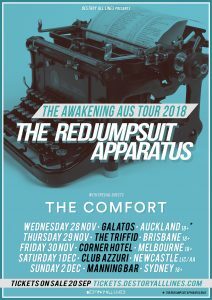 Catch The Red Jumpsuit Apparatus and The Comfort on The Awakening tour this November! 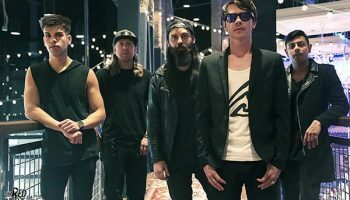 Interview: Red Jumpsuit Apparatus’ Ronnie Winter!